As parents, we all want the best for our kids. What’s “best” for our kids varies from parent to parent, but one thing we can all agree upon is the importance of education. In my recent post, Finding the Best School for My Child, I talked about wanting to set my children up for success and the importance of getting a quality education. Admittedly, I wasn’t aware of all of our options and wish we would have done more research earlier on, but I’m glad we finally got it figured out and I look forward to watching my children flourish. If I could go back in time, though, one of the areas I’d focus on more for my firstborn would be Pre-K. There are a few different reasons why we opted to keep her home- some out of our control- but I wish circumstances were different and that she would have gotten the advantage of the Pre-K experience. Researchers know that attending preschool reaps tremendous benefits for our children and our communities. For this exact reason, publicly funded preschool is available in 43 states. * Fortunately for us, to make sure that little San Antonians are getting the benefits of Pre-K, San Antonio offers a FREE or LOW COST Pre-K option to qualifying students. This option is called Pre-K 4 SA. Pre-K 4 SA serves to provide 4-year-olds in San Antonio with a quality preschool education. To do this, they have established a level of standards to include a smart curriculum, nurturing environment, and carefully selected “Certified Master Teachers”. They value the importance of early education and the positive impact it has on our students. Having your child attend a preschool can aid in their development. From adjusting to social situations to learning new skills, and creating a good educational foundation, little ones can transition into kindergarten much easier with preschool under their belt. Pre-K 4 SA is looking to improve our children’s educational experience in a way that will make them feel like they are playing when they are in fact, learning and assimilating to a classroom experience. This curriculum includes strategic lesson plans that increase the child’s skill level in problem-solving, critical thinking, communication, social skills, leadership, reading fundamentals, math, art, science, and conservation, to name a few. The ultimate goal is to foster a love of learning in a safe and nurturing environment. 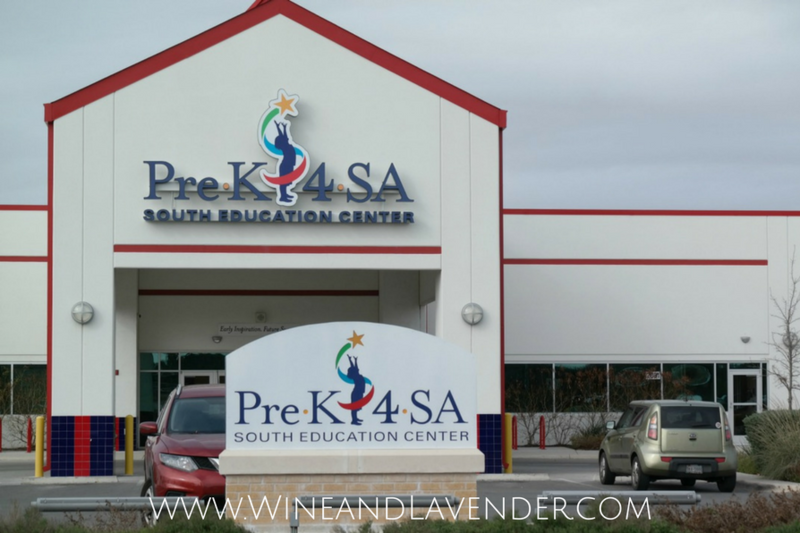 There are 4 Pre-K 4 SA learning centers throughout San Antonio, located on the North, East, South, and West sides. (Here’s a list of their locations. ) All centers are safe and secure with visitor check-in. Hours of operation are from 7:15am to 6:00pm, with the Extended Learning Program being from 3:00pm to 6:00pm. Transportation is offered through various stops throughout San Antonio and by state of the art buses that come equipped with built-in car seats. Nutritious meals and snacks are planned by a licensed nutritionist. 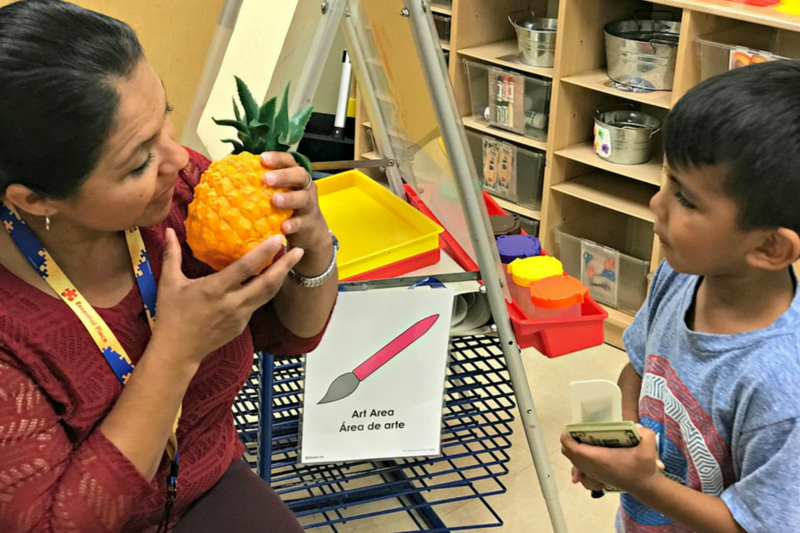 Check out the Program Fact Sheet on the San Antonio government site for more details and information on the benefits of Pre-K 4 SA. 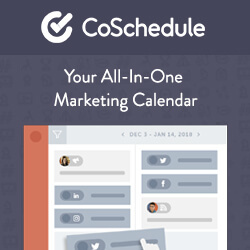 Your child must turn 4 on or before September 1st, 2018 to be able to attend. There is a criterion to meet in order to qualify for FREE pre-k, however, there is also a low-cost option for those who do not qualify for free. Find out more about eligibility here. Applications for the 2018-2019 school year open Thursday, February 1st. 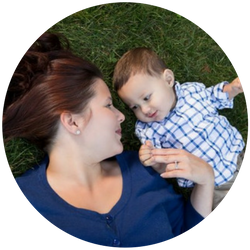 If you are ready to set your little one up for both short and long-term success, apply now! Visit Pre-K 4 SA online and see what San Antonio can offer your little one. How has Pre-K improved your child’s educational journey? What do you love most about the program?